A Review of Taylormade Project (a) Golf Balls. 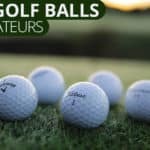 Great golf balls designed for amateur golfers. The Taylormade Project (a) golf ball is one of the best golf ball options for mid-level golfers looking for more spin around the greens. This golf ball is designed to behave like a “toned down” tour level golf ball. It can be compared to the Titleist NXT Tour in terms of both price and performance and features a low compression core. The low compression rate of 70 is meant to help out golfers with swing speeds below 100 mph, but virtually all of its other characteristics are built for reactionary performance. This golf ball can be shaped for those looking to work the ball and will maintain high spin rates around the greens. It is not meant for high-handicap beginners as the spin produced by the urethane cover, core, and mantle will cause the ball to slice or hook if not hit properly. If you’re looking to take your game from the 90s and high 80s to something lower, this is the golf ball for you. If you’re looking for a cheaper and simpler golf ball that maximizes distance, consider the Srixon Soft Feel. Let’s get into the specifics on why the Taylormade Project (a) is one of the best golf balls mid-level golfers. This golf ball was created for good golfers looking to play more than a simple distance ball. The Taylormade Project (a) is a three piece golf ball with a low compression core, mantle, and high-performance urethan cover. It will move from right to left and vice versa when hit properly and will check on the greens. In designing this golf ball, Taylormade intentionally didn’t focus on purely distance. With higher performing ball, golf ball manufacturers have the luxury of using better materials, and more of them, to increase performance. That is exactly what Taylor made did here. The Taylormade Project (a) has a price point that is a bit higher than some of the other best golf balls for amateurs. This higher price point means that Taylormade has jammed more technology into this golf ball than others. More tech means more performance. The Taylormade Project (a) features a high-performance thin urethane cover. If you’ve read our other reviews, you already know that this means more spin and a softer feel. Virtually every high-end golf ball features a urethane cover. This materials is sticky and soft and creates great reaction around the greens. It one of the reasons this golf ball is so reactive around the greens and with mid and short irons. The core of the Taylormade Project (a) has a compression rating of 70. The average tour quality ball typically has a compression rating of 100, so this golf ball has much lower compression. 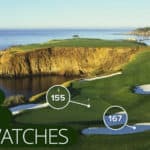 This is a good thing for golfers with swing speeds below 100 mph. The lower the compression rating the more distance you will get our of the ball. Like other balls that can be listed among the best golf balls our there, the mantle of the Taylormade Project (a) is meant to reduce driver spin and increase wedge spin. The tech of the golf ball makes it react just like a tour ball around the greens. If you want a comparison, this golf ball will have slightly less spin than a Pro V1x. 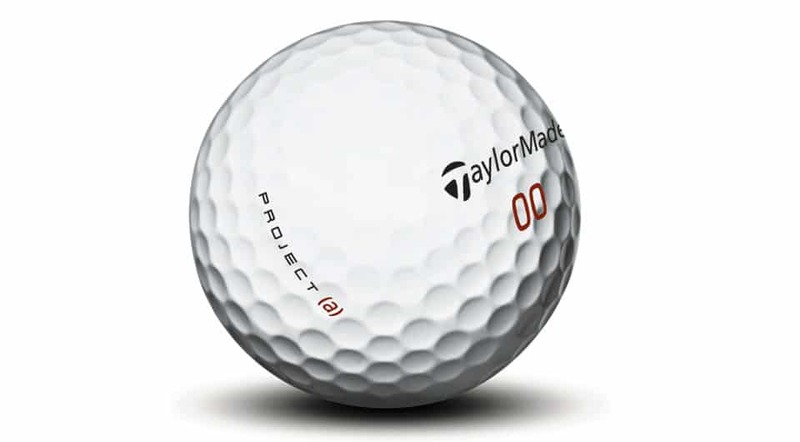 The Taylormade Project (a) is one of the best golf balls for all around performance. It will fly far off of the tee and feel soft due to its low compression. And it will provide great spin around the greens due to its urethane cover and mantle. If you want to take your game from bogey golf to the mid to low 80s, this is the best golf ball for you. Glad you liked it. These golf balls have been flying off of the shelves. Taylormade has really created something special here and i’m happy to see that the big boy manufacturers are making complex construction (three layer) golf balls for golfers with lower swing speeds. This has shaved a ton of strokes off of my game and others report the same. Go low out there! I have played this ball for the last two days and was really REALLY impressed with the action on the greens. I was able to spin the ball back about 15-20 feet on one golf course and had it stop dead at another where the greens were very hard and I could not stop another ball I was playing at first. 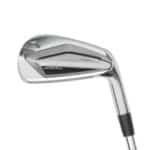 I am definitely going to buy a dozen and take them out to my home course where it is nearly impossible for me to get any back spin or stop action and see how they fare. Glad you liked it Joe! It’s definitely one of my favorites. I love the feel of it from 100 yards and in, but its also great out of bunkers due to its bite. I found one of these balls today and played 9 holes with it. Very impressive. I usually play Srixon Trispeed ball that also is a three piece ball. 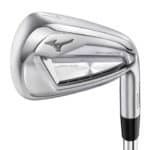 I will buy some of these when I finish using the rest of the Srixon balls. Awesome all around ball. Long off the tee and forgiving on miss hits. Wedge shots are high and stick where other balls don’t. Great ball all around. I played the 2017 version project and loved it. I now play the 2018 version and it is LONGER off the tee and extremely soft on the green. Both version stop on a dime on the green and spin. I don’t play anything else. 11.2 handicap and I’m sure by the end of the year I will be a single digit handicapper using this ball. 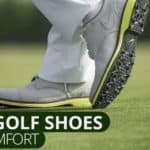 Great product for the amateur golfer. Great to hear JP. Go low out there! The project a is the best ball on the market for amateur golfer like myself. 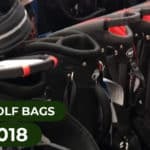 I was sent a free dozen from golfnow a year and half ago and they have been in my bag ever since. I’m a 10 handicap and will go lower hopefully by the end of the year. I watch other playing tour balls and they have no control over their balls. Thanks Taylormade for an awesome ball. I stay stocked up and love the 2018 version with the TP5 cover. Thanks for your comment, JP. I tend to agree. This ball is a great option for amateur players looking for feel and spin in a soft golf ball. I’d put it right up there with the Callaway Chromesoft except this golf ball is a heck of a lot more affordable now that Callaway has increased the price of their balls nearly 2X. ive played this ball for the last 2 years. i love it. im a 13 handicap. i found 2 sleeves of the 2017 generation in the back of my trunk and played so good. deadly with aporoach shots. im trying to find 2 more packs of prior generation right now.